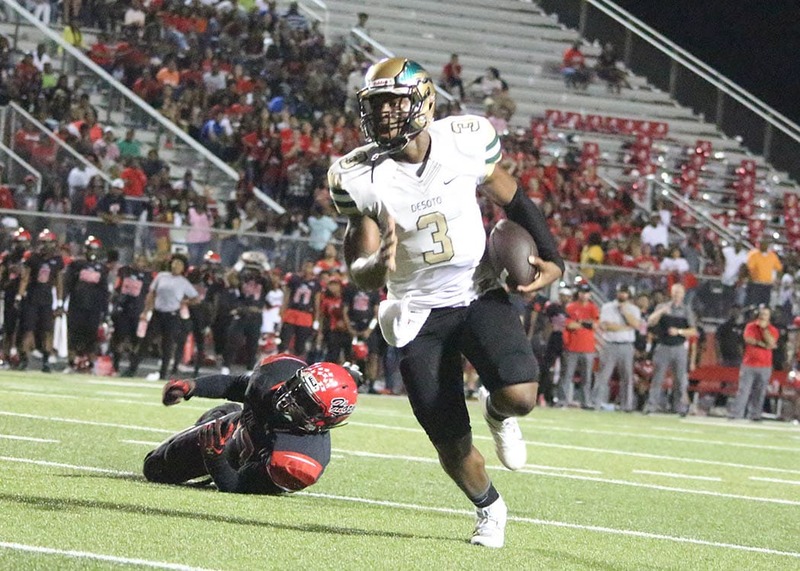 DESOTO—The U.S. Army All-American Bowl visited DeSoto High School on Wednesday, September 28, 2016, to officially recognize quarterback Shawn Robinson as a 2017 U.S. Army All-American. During an assembly, DeSoto High School honored Shawn before his teammates, classmates, friends and family. 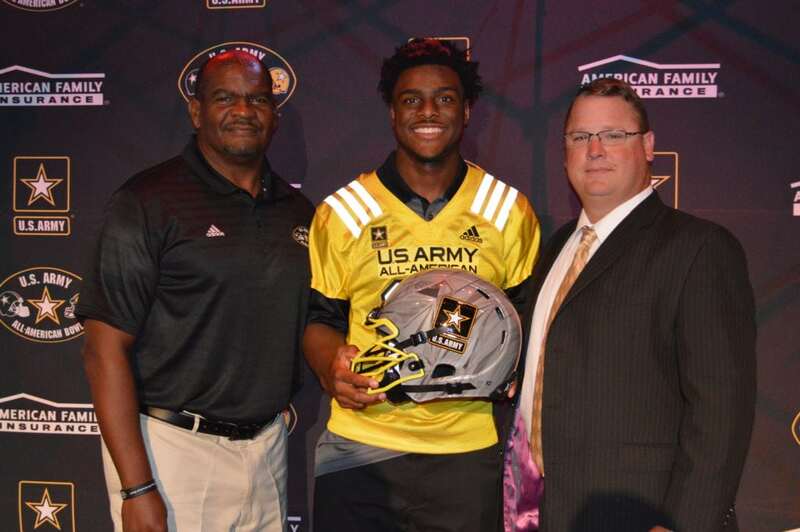 By becoming an U.S. Army All-American, Shawn Robinson joins an elite group. Players are chosen not only because they excel on the football field, but also because they are both mentally and physically agile and are able to adapt to challenging situations, similar to U.S. Army Soldiers. “I know he is really excited about it … to be representing his country and school. He is really excited about the opportunity,” said Head Coach Todd Peterman. Selection Tour teams are traveling a combined 30,000+ miles across the country from late September to mid-December to announce all 100 athletes and 125 marching band members selected to the U.S. Army All-American Class of 2017. The 2017 U.S. Army All-American Bowl, presented by American Family Insurance, will be broadcast live Saturday, January 7, 2017 12:00 p.m. CST on NBC. Robinson has been making headway since transferring from 2012 and 2013 4A State Champion Denton Guyer this year. Coach Peterman has nothing but glowing things to say about him. “He’s getting better and better every week as we put in more offense. He is a very poised and confident young man. He is really mature for a 17-year-old,” he said.